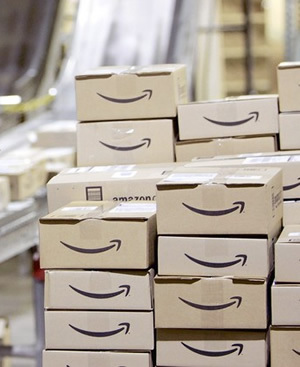 After many customer requests, Amazon has expanded its trade-in program to include mobile computers. As of yesterday, you can use the service to exchange your used laptops and netbooks for an Amazon gift card. To get started, search for eligible items here, provide information about the condition of your belongings, and use the supplied shipping label to send your package within one week. Assuming your trade-in isn't rejected (in which case it'll be sent back to you), your Amazon account should be credited with the gift card. There's surprisingly little fine print and there are only a few real limitations: you must be 18 years old, live in the US, you can't send more than $1,250 worth of goods in a given trade-in and you can't send more than two of the same item in a three month period. Whether by coincidence or not, Amazon updated its program only weeks before Apple is expected to refresh its MacBook lineup. The etailer's trade-in program seems to offer competitive rates compared to Apple. For instance, the late 2011 13.3-inch MacBook Pro (model MD313LL/A) is fetching a maximum of $625 on Amazon, whereas Apple's best rate is $605.25. However, you could get $900+ on eBay. You might make more selling the items yourself, but that comes with extra responsibilities, so services like Amazon's are worthwhile for many people. The trade-in program also covers CDs, movies, books, games, cameras, tablets, smartphones, MP3 players and other electronics. In the case of textbooks, Amazon is running a test program at select colleges that let you exchange the books in person.